Nitin Khare - PETAL et al. 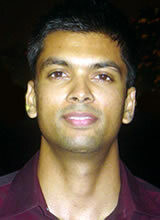 Nitin Khare holds a master’s degree in Computer Science and Finance. He has over seven years of industry experience in various technologies, including C++, Perl, Java, J2EE, Struts, Spring, shell scripting, Matlab, R, Linux, and MySql.